The first Galaxy S9 teaser to tell us about the phone’s unveiling on February 25, had one focus: the Galaxy S9 camera. They are telling us that it has been “reimagined” on some level. What that means hasn’t been confirmed yet, but they sure are excited about the idea. In the latest Galaxy S9 teaser, we’ve got a 30 second promo spot that considers a reimagined eye, flash, low-light birthday cake in-the-club picture, selfie, additional selfie, selfie, friend tagging, and yes, animated emoji. We’re reimagining a lot here, which is probably necessary since the Galaxy S9 is mostly an upgraded Galaxy S8. A previous leak suggests that we’ll get a “Super Speed Dual Pixel” 12MP camera in the Galaxy S9 with optical image stabilization (OIS) and a variable aperture of f/1.5 to f/2.4 (it’ll be a dual camera in the Galaxy S9+). That’s not a first, because Samsung already put a variable aperture in a phone you’ve never heard of, but it’ll be the first time a mass-produced phone that sells in the millions will have a variable aperture. That means more flexibility depending on the light and possibly milkier bokeh. You can see how that’ll work here. 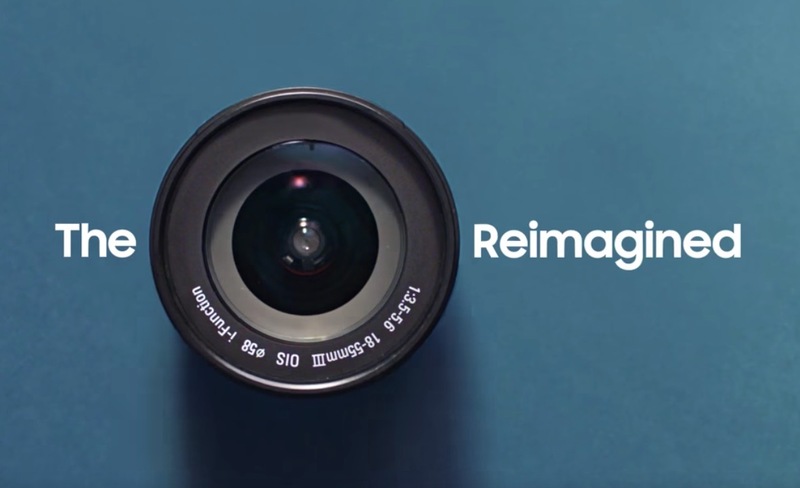 The word “reimagined” is probably taking this all a bit far. I doubt we’re really reimagining anything. Instead, we’re improving or upgrading the camera like no one has done yet in mobile, which is worth noting, for sure. Samsung has long-been one of the best smartphone camera makers in the world and the Galaxy S9’s shouldn’t change that.